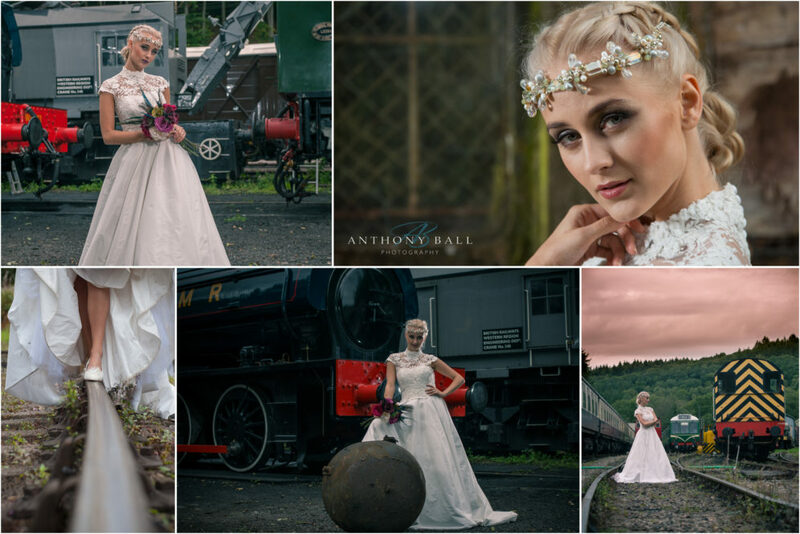 Take a look at this fantastic Railway Wedding Dress Photoshoot I shot before Christmas. It represents one of the three or four personal projects I do each year to allow me to experiment and safely expand my boundaries. 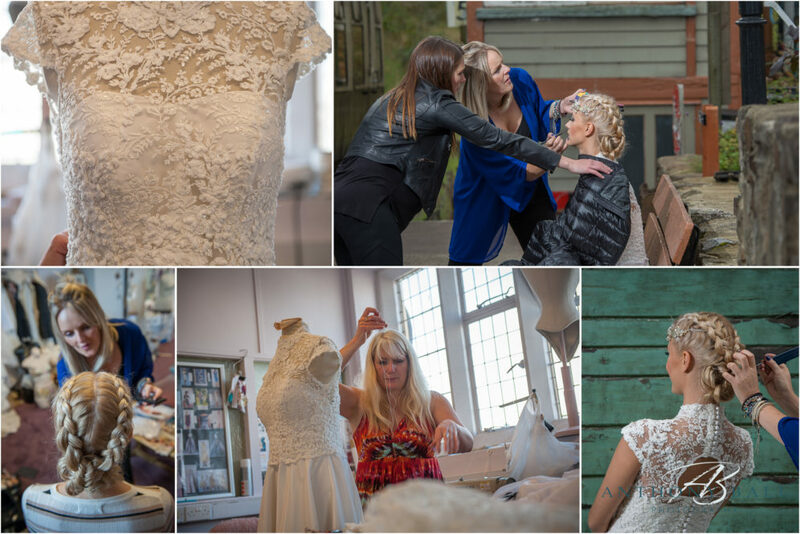 It’s not just the practice or experience I gain from these shoots that gives me a buzz, but working with a professional and friendly bunch of like minded people who are all up for giving a little of their time to produce some amazing images. Thanks everyone! 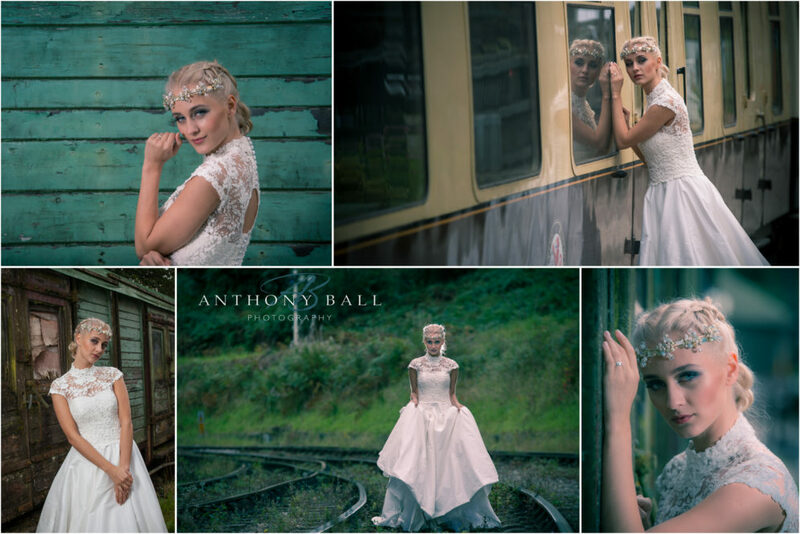 I have worked with Jocelyn (The Dress Designer) and Jody (make up artist) before, so when we discussed doing a fun practice shoot all we needed to find was a great venue and the right model. 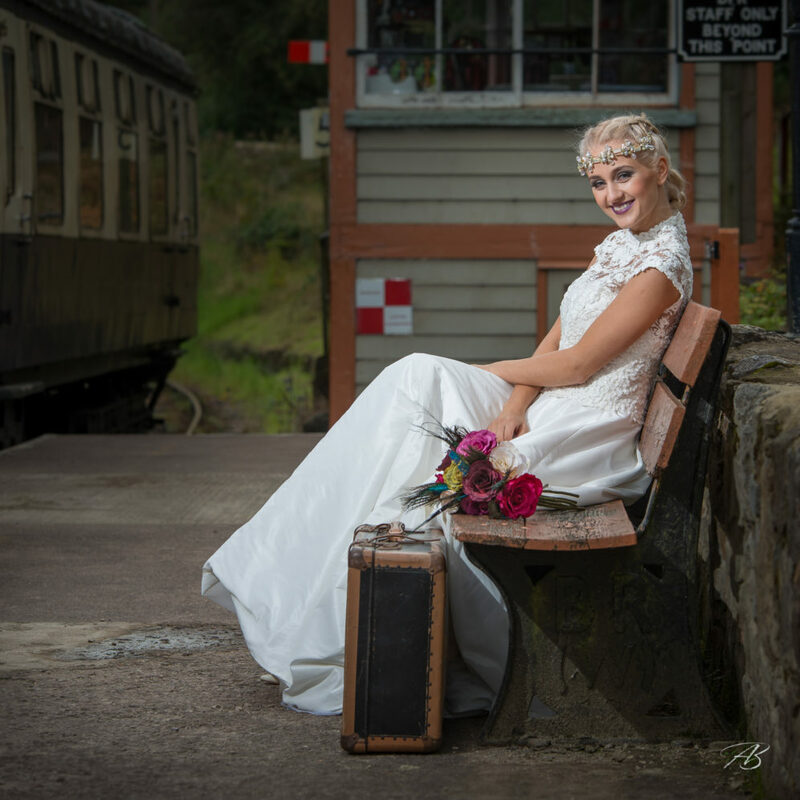 I’d photographed at Norchard Railway Station for a charity shoot some years ago and the team at Dean Forest Railway were really helpful and accommodating. We had the whole station to ourselves for a couple of hours. Fabulous! Like a good BBC ducumentary I like to include a few behind the scenes photographs.